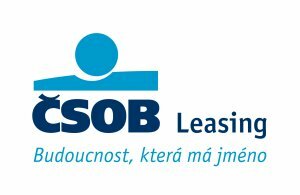 4ISP is partnered with ČSOB Leasing, a.s., a company that can provide financing via leasing or a bank loan to our Czech and Slovak customers. If you are a citizen of the Czech Republic or Slovakia, do not hesitate to contact us. Being partnered with ČSOB Leasing, a.s. for several years already, we can provide the best possible offer of both leasing and insurance via ČSOB insurance company. For more information, please switch to Czech version of this page or click here.